AnonD-110650, 08 Feb 2013it cant as Adobe have stopped supporting Android after ICS. 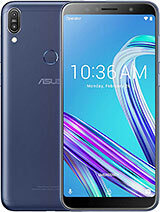 If you search the we there are way... moreFlash player doesn't load on ics version which I am currently using..so I believe this is not adobe problem but Asus problem.. 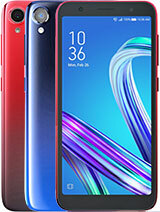 I have been looking for a new Phone and tablet for a while now, i was thinking of the Note II and Note 10.1 but they dont come with enough internal memory, then i found this. It terms of concept it is awesome it dose everything i want in a phone and tablet. Only downside is the lack of SD card slot and no keyboard. 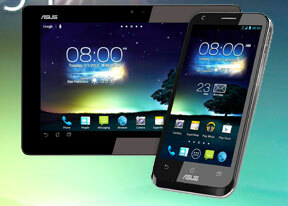 The Padfone 3 is coming out late 2013 and if the specs are right i will get it like a shot. i think the Padfone 2 was let down a bit by not having the features i previously mentioned. Give this thing a Sd card slot, a keyboard dock and a stylus and you would have the best "Smart" device to date! Does anyone have a problem of the phone staus became emergency call only after connecting to wifi and unable to use the phone even after power on/off the phone. Questioning stranger, 09 Feb 2013Does Anybody know if this works well in Melbourne(Australia), with a Kogan mobile sim? I wa... moreIt works sweet in Sydney on Optus 4G LTE. yyy, 10 Feb 2013is there 2 modales of padfone 2 ? some reviwes say it 3g network: 900/2100 and some say: 850/9... morei bought this padfone 2 recently and it works perfectly. i live in trinidad, west indies. no regrets to date. had phone for a few months now. camera is exceptional, battery life lasts 3 days if just making calls and using internet. when playing games moderately the phone lasts 2 days. -1 point is missed is that the phone gets heated up quickly when inserted in the station. This is my first smart phone and I am not sure how soon other high end smart phones get heated but this phone gets heated up quickly inside the station than using the phone alone. - Battery: It is very good on paper and so far I dont have any issues with it. Even though I cant say how long it will last for so and so operation, the battery should last a day with moderate usage. Internet browsing and games will consume more battery as with any phone. The tablet has a 5000 mah Battery so u can charge ur phone with the tablet whenever needed. 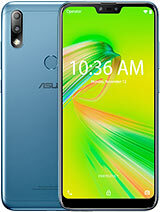 - Another disadvantage is that this phone does not use a micro USB port. It has a unique port and so its availability may be scarce. - This should be the biggest problem with this phone. For some reason it does not detect wi fi signal strength properly. When I am near the modem, it shows full signal but when I am a little away from it, it shows only 1 point or sometimes even 0 whereas my ipod touch shows 2/3s or full signal. I have seen the same issue in Hong Kong and India as well. I am not sure whether it is a problem with all phone or not but I have seen people complaining about wi fi in some forums. 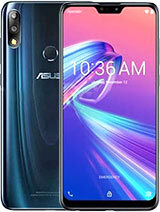 I find the padphone2 to be very fragile and the casing that Asus provide does not provide much protection. I had my padphone charging with the casing and it drop from table high, and must have landed on one of the corner and the whole screen crack. Not only that, but it also stop responding. My personal experience with other tablet and casing, this padphone 2 is fragile and i regret buying it. Where did you buy this padfone2 from and how much did u buy it for? Any import duties for india? 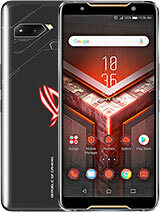 Is it a good device and worth spending so much? Any problems related to hardware and network? Does Anybody know if this works well in Melbourne(Australia), with a Kogan mobile sim? I want to buy one but I am unsure if it will work properly. Saurabh, 05 Feb 2013How can we play videos which require adobe flash player? Quite surprised that Padfone 2 is mis... moreit cant as Adobe have stopped supporting Android after ICS. If you search the we there are ways round it or use sites that use HTML 5 to broadcast videos like youtube. Saurabh, 05 Feb 2013How can we play videos which require adobe flash player? Quite surprised that Padfone 2 is mis... moreIf its jelly bean flash is no longer supported. Its not google or asus's choice. I''ve just purchased padfone 2 yesterday, went home to charge the station & it kept showing pic to insert phone which I was already in. It can't charged nor using it from START, brought it to the service center & it needs 5 working days for repair. What a craps phone is that. The phone is 'not coming soon' anymore. Hello, I purchased Padfone 2 and I have problems with importing phone book. more specifically, I import it either from mail account or from a file saved in the device's memory. at a certain time automatically disappears. few times I try to recharge it fails. Also, when importing it i get a message that the agenda is loaded on clipboard. I guess this would be the problem, but I managed to find a setting to change this. can anyone help me with a solution in this regard please? I have recently imported padfone2 from Malaysia into India. My padfone2 is still having android 4.0.4 and there is no firmware updates available. I chked on net that jelly bean updates have been done by several users. How do i get Jelly bean update? How can we play videos which require adobe flash player? Quite surprised that Padfone 2 is missing such an essamtial software. Anyone pls help? 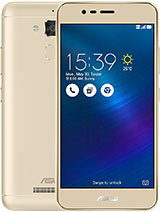 Total of 521 user reviews and opinions for Asus PadFone 2.